As a part of their renewed quest to revive the franchises of their glory days, MTV announced that it will be reviving MTV Unplugged. Variety reports that the first episode of this new iteration will feature Shawn Mendes. For the uninitiated, Mendes sings a song about mercy called, appropriately, “Mercy” and is currently on tour. 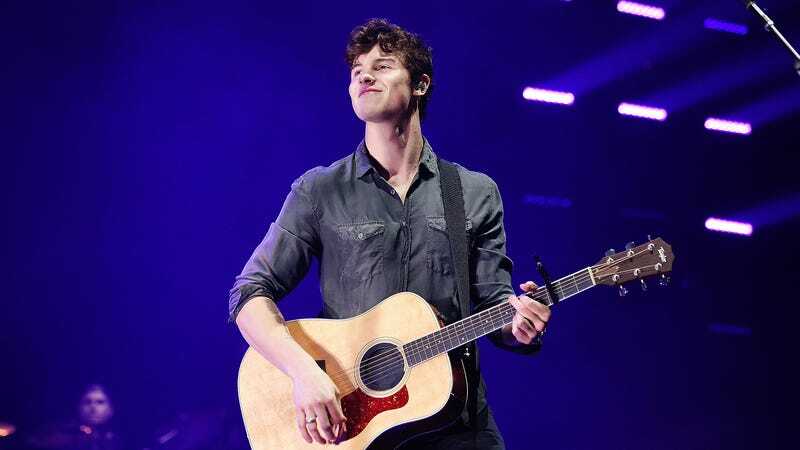 On Wednesday night in Brooklyn, Mendes performed “Mercy” and brought out Ed Sheeran to help him. That should give you an idea of what he’s about. In its first incarnation, MTV Unpugged featured artists like Mariah Carey, Nirvana, Eric Clapton and Jay-Z and produced some very memorable musical moments, including this under-the-radar Mariah Carey song “If It’s Over,” which deserves more shine than it has gotten over the years. Anyway! This version of MTV Unplugged will still feature acoustic covers, but they’re changing it up a bit in concept. According to Amani Duncan, whose official title appears to be “MTV SVP of Music and Executive In Charge of Music for ‘Unplugged,’” a key difference will be the venue—they’ll shoot in locations that have “meaning” for the artists. If you want to see this for yourself, this new and shiny version of a beloved classic will premiere on September 8.